You would think summer TV is boring. Apparently, they are great shows to watch. You have reality TV shows and scripted shows. You have your favorites and I have mines favorites. Here’s my favorite. If you are a fan of mysteries, you might consider watching Scream: The TV series. It’s not what you expected to see, but it is totally different. It’s a murder mystery and the teens who are in this TV show got to solve a vicious murder of who done it. The series is inspired by Wes Craven 1996 film classic Scream, which was a blockbuster hit in the horror and suspense genre. In the beginning of each movie, a beautiful girl is killed. Bella Thorne and her boyfriend were killed. Who did it? The series loads up its high school students with complications and side plots in the manner now common on shows involving teenage characters. Promiscuity abounds. Jocks and mean girls do what they usually do. A teacher-student sexual relationship is implied. A hunky newcomer turns up in class. A video of a girl-on-girl kiss brings unwanted attention to a reclusive student named Audrey, played by Bex Taylor-Klaus in the only performance that really makes an impression in the premiere. In a classroom scene, a teacher is teaching literature to his students he mention about Gothic Literature. Gothic Literature is popular with teens because it has mysteries, deep characters, and a complicated stories plot. For examples, “The Walking Dead” and “American Horror Story” are invoked, followed by “The Texas Chainsaw Massacre” and “Halloween.” These are Gothic Horror. That gives a student by the name of Noah (John Karna) a chance to say: “Ah, those are slasher movies. You can’t do a slasher movie as a TV series.” He’s right, they have to stretch it out. Give it 10 episodes and the final one to reveal who done it. And we did not know. And we were surprised. It’s a cliff hanger. Second season? After the introductory carnage, the kids at the local high school decide to mark the gruesome death of a classmate by having a party beside a lake where, decades earlier, another murder case ended when the police officers killed the prime suspect and it fell into the lake. The body was never found. Among the teenagers at the center of the current turmoil is Emma (Willa Fitzgerald), whose mother (Tracy Middendorf) was an important figure in that long-ago incident. 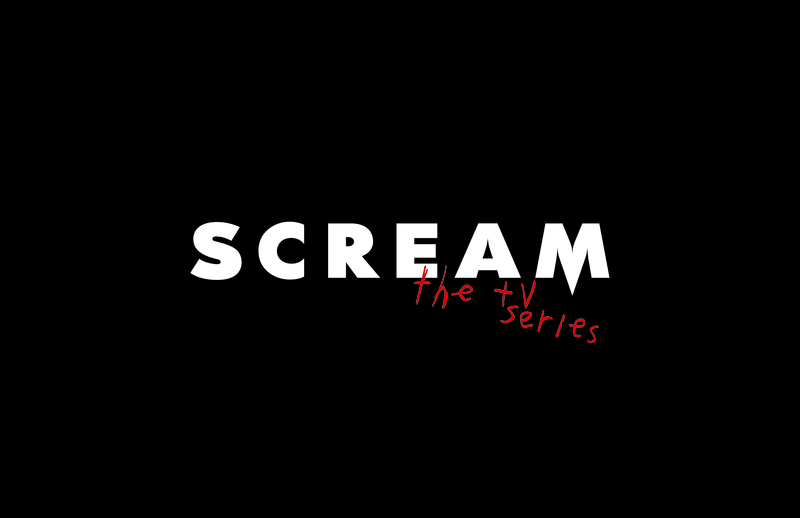 Scream: The TV series is on Tuesday night at 10pm on MTV.